(2012/Brown) clothbound, english, 471 pages, 231x152 mm, b/w photos. J.D.Davis' enthralling new biography of famous cousins Jerry Lee Lewis, Jimmy Swaggart, and Mickey Gilley, born within a 12-month span in small-town Louisiana during the Great Depression, draws from exhaustive research and personal connections with friends and family. 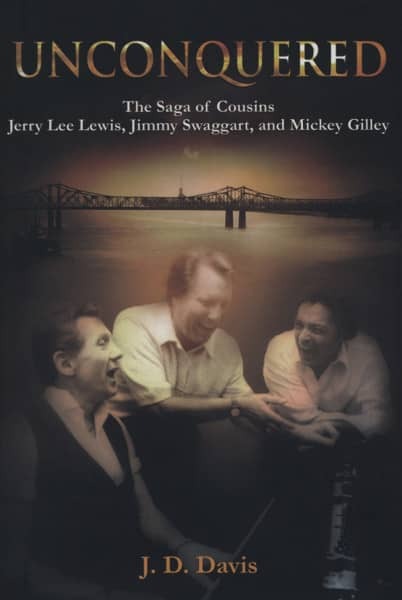 Kundenbewertungen für "Unconquered - Jerry Lee Lewis, Jimmy Swaggart, Mickey Gilley - The Saga Of Cousins by J.D. Davis"